Why should I choose concrete over granite for my countertops? The answer is not found in which material is better, rather it comes down to preference of color and design. 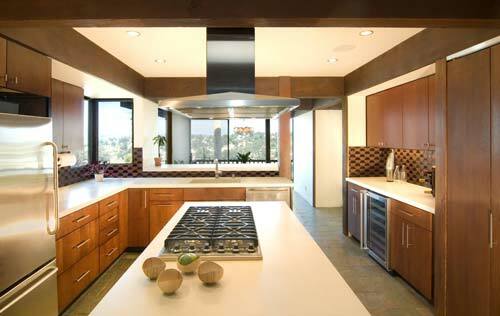 What we do know, is that for the past 10-15 years there has been a surge in granite countertops. When you walk into a neighbor’s house or even a relative, there is a great chance that they have granite and because of price points and quantities, the identical look you have. For some, this trend has robbed them of the individuality and style that they were intending to create in their kitchen or bathroom. For this reason Concrete Countertops are gaining market space. Concrete countertops offer a natural handcrafted look and feel which allow for a variety of colors, textures and designs. This means that you can now accentuate your room and create a theme or design that is not available on a shelf or store. What if my neighbor or friends try to copy my concrete countertop? The makeup of a quality concrete countertop mix delivers natural variants meaning that your concrete countertops have subtle variations in color, shade, texture and appearance that cannot be replicated. Although they may want your identical look they will only be able to achieve the basic color concept. The hues and variegated look concrete countertops produce make each one a piece of art rather than a mass produced and over used depiction of what a company thinks looks good. Couple that with hundreds of colors, stains and effects and the questions is why would someone want to copy? No matter where you live, concrete countertops are being used in creating a timeless modern appeal to their kitchens, bathrooms and outdoor kitchens. This can be seen on HGTV and DIY networks where their designers have been using concrete countertops to provide a functional yet individualized look to their projects. We hope that you enjoy the same satisfaction and appeal when you choose concrete countertops for your home project. SureCrete Design is the industry leader in concrete countertop technology and concrete countertop training.